The Warren County Virtual Museum project will provide a vibrant, broadband-tuned, media-rich web application that will encourage exploration into the history and heritage of our region. By delivering content via the web, we will seek to tell this story to an audience who might not normally make the physical trek to the history museum. The act of content creation and exhibit curation also provides an exciting technology-education opportunity for local youth and volunteers, as well as connecting them with the artifacts and objects that serve as touchpoints of our history. The software will be developed as open source with a larger goal of sharing the web application with other communities and regions within Illinois to foster the creation of multiple virtual museums, all helping to weave the tapestry that is the story of our great state. The Warren County Virtual Museum project seeks to make the past “come alive” through rich media and broadband content delivery, creating both an exciting regional educational opportunity and a dynamic historic resource to enhance citizen participation in the past story and future civic life of our regional communities. 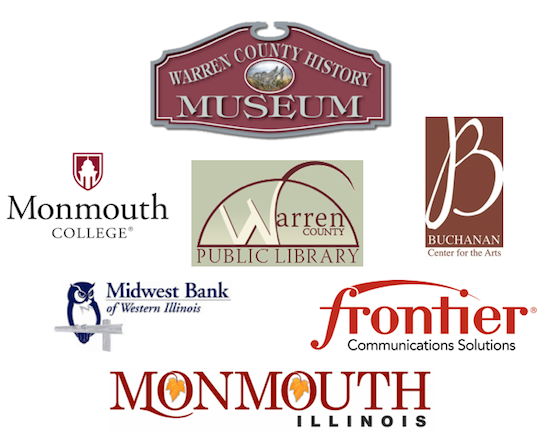 Development of this museum application is funded by an inaugural Broadband Innovation Fund award and the generous support of our regional stakeholders: the City of Monmouth, Monmouth College, the Warren County Historical Society, the Buchanan Center for the Arts, the Warren County Public Library, Midwest Bank of Western Illinois and Frontier Communications. If you would like information on this museum project or our Innovation Fund award, please click on the Contact menu item above to send us an email. We'd love to hear from you.